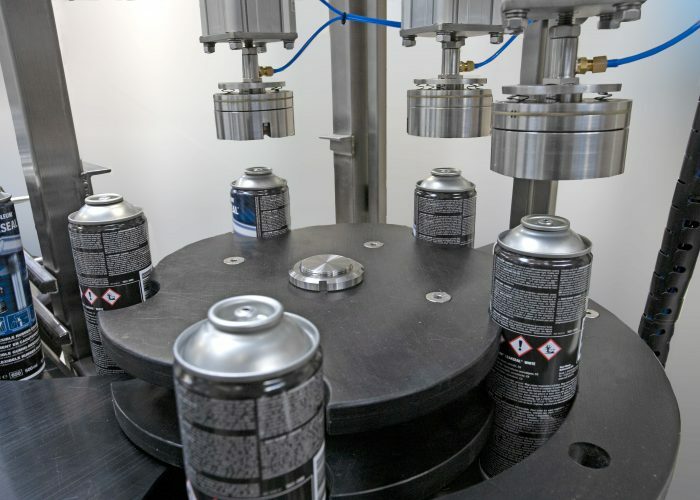 Our aerosol test bath comprises of a continually rotating turret which transfers aerosols off the transport conveyor and attaches them to a chain of clips. This chain carries the aerosols through a temperature regulated water trough (known as an aerosol waterbath) and then back to the turret, where air knives remove any residual water before returning the aerosols to the conveyor. People who oversee this role are known as aerosol can burst pressure testers. 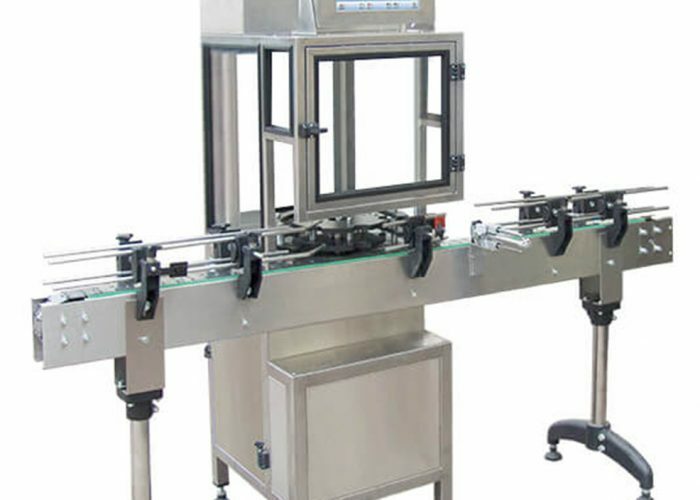 The size of the water trough is dependant upon the speed of the line – the aerosols are required to be immersed in the aerosol test bath for a minimum of 3 minutes to allow the aerosol container to reach a temperature of 50°C in the aerosol waterbath. A container failure in the heated aerosol test bath can be quite violent, and will usually require the line to be stopped, all fragments of the failed container to be removed, and the water bath drained and cleaned by the aerosol can burst pressure testers before production can restart. 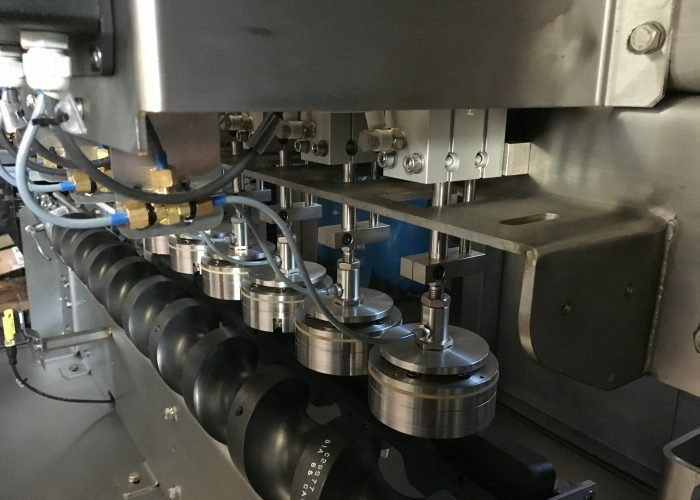 The trough is of sturdy construction to withstand and contain the force of any aerosol failures during testing, and has the facility to lift all of the aerosols out of the water for maintenance and cleaning. 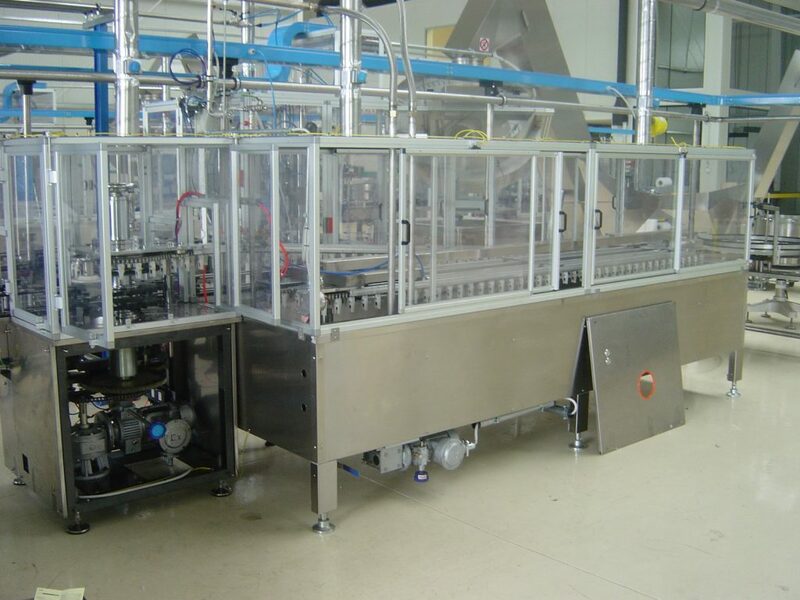 Our aerosol waterbath machines are designed and constructed with a closed loop heating coil system. This ensures that contaminants in the heated water bath cannot enter the heating system itself. The closed loop system enables the bath to be heated with any external source, such as electricity, gas or steam. 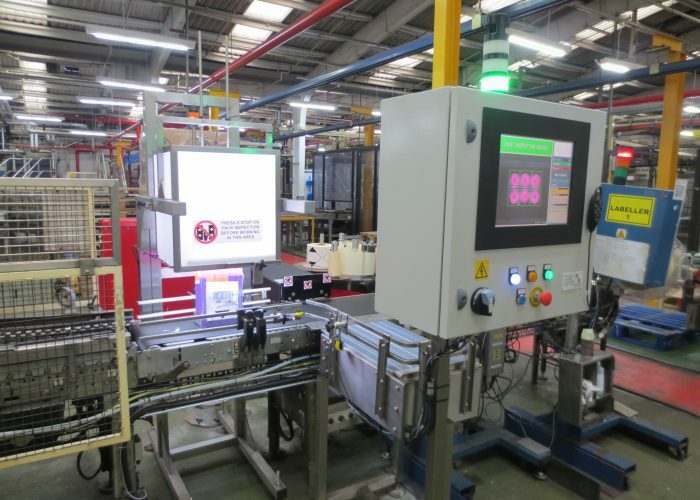 Our aerosol test baths are typically constructed to comply with ATEX Zone II/2G regulations (classification Zone 1).